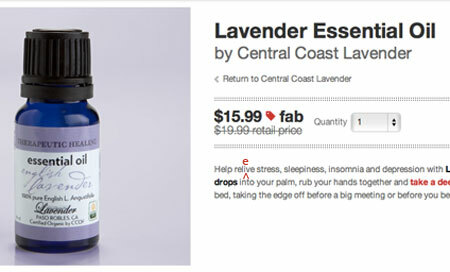 One of the products featured on Fab.com yesterday was Lavender Essential Oil by Central Coast Lavender. Unique positioning in a competitive market. Help relive stress, sleepiness, insomnia and depression . . . If you thoroughly enjoyed your stress and depression the first time around, you can now relive them all, thanks to this innovative product. And it's organic too! So fab! 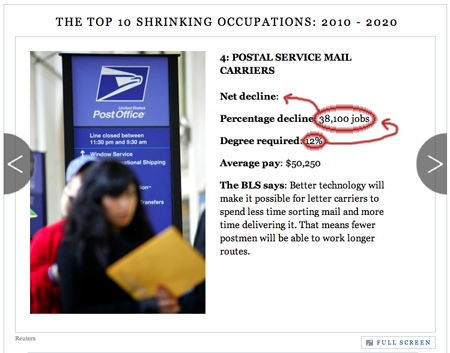 Today, The Atlantic presented a slideshow on "America's 10 Fastest-Growing (and Fastest-Shrinking) Jobs," based on the Bureau of Labor Statistics' latest employment projections. 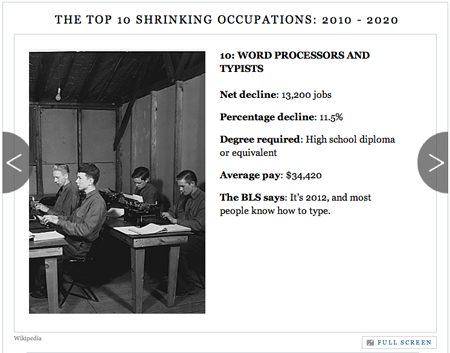 Although "copy editor" and "proofreader" did not make the BLS report, they just might top the list of shrinking jobs at The Atlantic, along with "word processor" and "typist." How did this happen? The following slide provides a clue.